Robert Littman, Project Co-Director. Dr. Littman received BA and PhD from Columbia University. Currently professor and Chair of Classics at University of Hawaii at Manoa where he teaches Greek and Roman Mythology, Upper level Greek and Latin language, Egyptian language, and Greek and Latin Roots of Medical Terminology. Jay Silverstein, Project Co-Director and Field Director. Dr. Silverstein received his PhD in anthropological archaeology from The Pennsylvania State University. His theoretical interests include militarism, the rise and fall of complex societies, ancient hydraulic constructions, imperialism, and frontier interactions. He has directed or co-directed projects around the world including Mexico, Guatemala, Southeast Asia, Papua New Guinea, Micronesia, Europe, and Egypt. Jay has recently been appointed to the faculty of the Centre for Advanced Study at the University of Tyumen, and has served as an Adjunct faculty member at the University of Hawaii in Classics and Anthropology. Jay has been co-director of the Tell Timai Project since 2007. James Bennett, Northwest Area Supervisor. Now on the faculty of the University of Birmingham, Dr. Bennett finished his PhD at Durham University assessing settlement patterns during the Third Intermediate Period and the way in which settlements developed after the New Kingdom. Other research aspects include the development of the Nile Delta and Valley throughout antiquity, hieroglyphic texts, the chronology, and function of terracotta figurines in Egypt, and the nature of human interaction with the landscape in Egypt. James completed his BA in Egyptian Archaeology studying the 30th Dynasty temple complexes in the Delta, and an MA in Egyptology at the University of Liverpool through the study of Persian Ceramics in Egypt. James is the northwestern area supervisor at Tell Timai for the excavation of a large religious and funerary complex and have been excavating there for seven years. Hal Bonette, Field Supervisor and Field Methods Instructor. Hal Bonnette is an independent archaeologist with 30 years excavation experience. He has supervised over seven seasons at three sites in Israel, three seasons in Jordan, and has been with the Tell Timai Project since 2011. Besides being a field supervisor, he also cocreated the field data collection forms, wrote the Data Collection Manual, provides classes on completing the forms, and gives training on the field methods and terminology used at Tell Timai. He is based in Asheville, North Carolina, USA. Lori Lawson, House, Lab, and Magazine Manager. Lori Lawson is the Director of a small adult college in Cairo and is currently the curriculum designer for African Hope Learning Center. She has a BA in Humanities from Kansas State University and graduated in 2015 with her Master’s Degree from Wayland Baptist University in Hawaii. Lori is interested in all kinds of Egyptian stone including quarries and uses in all time periods. At Tell Timai, she manages the house, magazine and lab. Gregory Bondar, Surveyor and Web Developer. 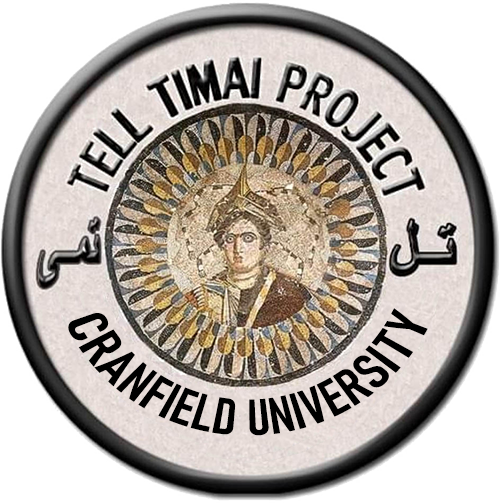 Prof Bondar, an Adjunct professor in Anthropology with Penn State University and the University of Pittsburgh at Greensburg, joined the Tell Timai Project in 2015 as the Surveyor. Originally a specialist in the geochemical sourcing of metarhyolite stone tools in eastern North America, he has also excavated mummified Moche sacrificial victims in Peru. Besides teaching many courses in Anthropology, Archaeology, Geography, and Science-Technology-and-Society, he also teaches several courses in Digital Humanities and Web Development, serves as the 'Manuscript Archaeologist' for the Digital Mary Russell Mitford Project, and created this website for the Tell Timai Project at telltimai.org beginning in January, 2019.